When Florida jeweler and businessman, Mike Thibault, arrived at Santa Fe Ranch in Miller, Mo., he had no intentions of becoming a cattle producer. “I didn’t know anything about farming,” Mike Thibault recalled. In 2012, Mike’s father-in-law and owner of the ranch, Charley Blount, passed away, leaving the future of the 2,600-acre Santa Fe Ranch uncertain. Mike planned to help his mother-in-law, Patsy Blount, prepare the ranch for auction. But the longer Mike and his wife, Cynthia, spent on the ranch, the more determined they became to keep the ranch going. “Within a couple of months I fell in love with it,” Mike reflected. Mike researched the history of the property and learned the land’s farming roots dated back to the 1850s. Charley, who owned businesses in Florida and Missouri, had purchased the ranch in 1997, becoming only the fourth owner of the large parcel of land. At the time Mike stepped into the operation at Santa Fe Ranch, farm managers were raising as many as 2,000 steers a year and running a dozen turkey houses. And things were not going well. After consulting experts and evaluating the ranch, Mike decided to make some drastic changes. 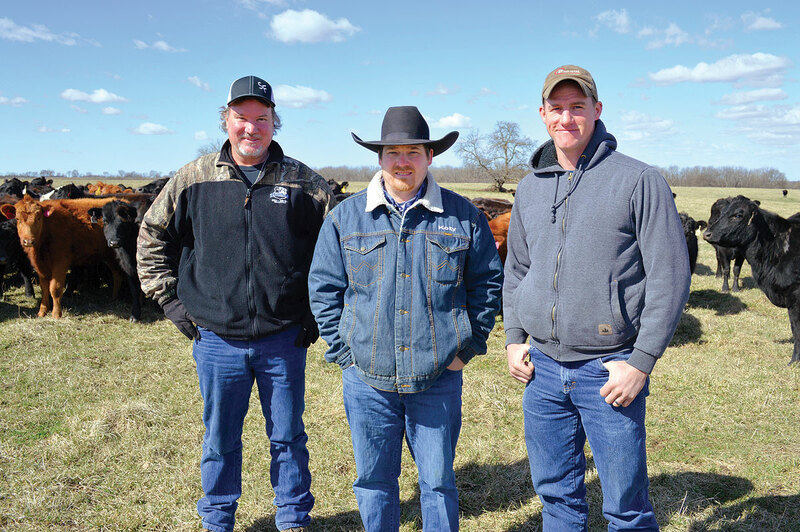 In the fall of 2015, Mike and his new ranch manager, Koty Dowell, converted the ranch to a replacement heifer operation. They sold all the steers and started fresh with 600 Angus-based heifers. The large heifer group was put together with the help of cattle buyer, Scott Kirby. Santa Fe Ranch was able to purchase large sister groups from a few farms. This was preferable to piecing together a group of 600 heifers from a multitude of sale barns and farms. Koty took on the task of AI’ing all the heifers to registered Angus bulls. Santa Fe then used registered cleanup bulls, but only exposed their heifers for 60 days. 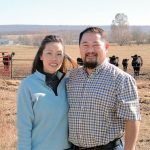 Koty and Mike wanted to keep the calving window to a 75-day period. “It really helped because instead of starting with a huge calving window and trying to build it down and keep cattle bred – we were able to start from scratch right where we wanted to,” Koty Dowell explained. Santa Fe Ranch’s next step was to prepare a strategic culling program. “In order to create the best reproductive product that we could with these heifers we adopted specific culling practices,” Koty said. Through Santa Fe’s culling practices, a cow is put on the culling list if she doesn’t raise a calf, breed back or raise a calf that is 50 percent of her body weight at weaning. In addition, Santa Fe only keeps replacement heifers if they are born in the first 30 days of calving season. “It promotes better reproductive abilities. Those earlier bred cattle should breed back earlier as well because their mother put better reproductive traits into the calf,” Koty said. Santa Fe Ranch purchased another 600 heifers in the spring of 2016 and continued with its plan to build a replacement heifer operation. Santa Fe keeps 10 to 15 percent of its total cow number for replacements. The ranch sells a few bred heifers to other farms and the rest of the calf crop is sold as feeder cattle. Most of the calves are sold shortly after weaning. Santa Fe backgrounds some of its steers and then sells them as yearlings. 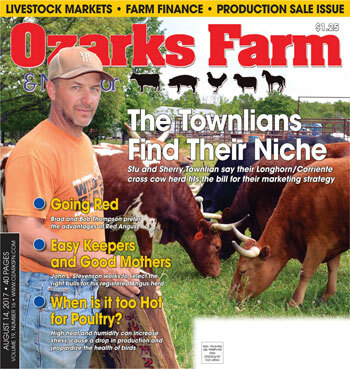 Santa Fe markets its calf crop through Superior Livestock’s nationwide video sales. Santa Fe implemented MFA’s Health Track and ABS Alliance Advantage programs into its cattle operation. These programs place emphasis on proven quality in the areas of health and genetics. Santa Fe breeds its cattle to ABS Global Profit Proven bulls. When selecting sires for the herd, Santa Fe considers calving ease and efficiency numbers. “A lot of profitability has to do with your inputs. ABS Global has a profitability index for a large number of sires, so I try to shoot for those better profitability input bulls,” Koty explained. When the calves are 3 months old, Santa Fe Ranch hosts an event reminiscent of a scene from the Wild West. Cowboy and cowgirl friends from all over the country bring their horses to help in a full day of roping, working, vaccinating, branding and castrating calves. At Santa Fe’s last “Head and Heel” event, the group worked 380 calves in one day. Santa Fe utilizes part of its large acreage to grow and harvest all its own hay. 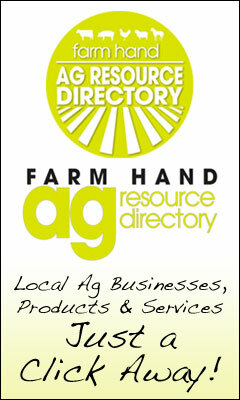 The ranch also plants 300 acres of crops each year. “Everything has fallen into place. 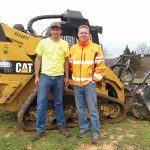 I think with good planning and good strategy and getting the right people and the right input – it has really helped us a lot,” Mike commented. And this jeweler just may have found his diamond in the rough – in a ranch in Missouri.